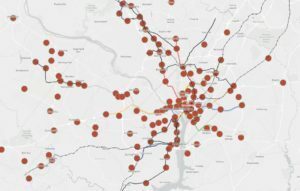 The National Capital Region Transportation Planning Board (TPB) at the Metropolitan Washington Council of Governments (COG) is seeking public input for Visualize 2045, a new long-range transportation plan for the National Capital Region. The input will help elected leaders and regional planners better understand public attitudes and opinion as they make decisions about the region’s transportation future. Visualize 2045 includes transportation projects for which funding is expected to be available between now and 2045, as well as those for which funding has not yet been identified. A series of public forums have been scheduled to discuss seven unfunded initiatives recently endorsed by the TPB that have the potential to significantly improve transportation in the region. The TPB will gather feedback at the forums that will help decision makers better understand the universe of needs and potential projects and how they can affect the region’s transportation future. 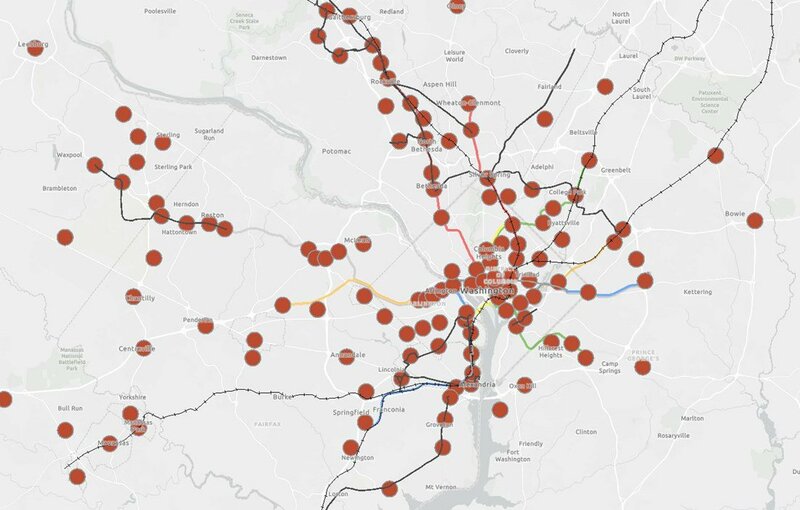 These unfunded initiatives include: bring jobs and housing closer together; expand bus rapid transit regionwide; move more people on Metrorail; increase telecommuting and other options for commuting; expand express highway network; improve walk and bike access to transit; and complete the National Capital Trail. Frederick County – Wednesday, April 11, 2018 | 7:00-9:00 P.M. | Thomas Johnson H.S. MORE: Sign up for email updates, or to view forum details, visit visualize2045.org. Stay updated and join the conversation on Twitter using the hashtag #VIZ2045. The Planning Department has announced a Town Hall/Charrette on March 10 to discuss the Innovation Park Small Area Plan. Public input will be collected via a series of exercises, which will guide the establishment of the vision, goals, and objectives for development of the area. The event will be held in the cafeteria at Patriot High School, 10504 Kettle Run Road, Nokesville, VA 20181. Two grade-separated interchanges along Prince William Parkway—at University Blvd and at Sudley Manor Dr. These are already planned. The U.S. Tennis Association will build a new regional headquarters and tennis facility near the intersection of Freedom Center Blvd and Wellington Rd, with anticipated completion by the end of 2021. While the center will raise the profile of sports and physical fitness in the county, the traffic plan will require careful design and management to accommodate the anticipated influx of 300,000+ annual visitors. GMU may also be constructing additional recreational facilities in that area, which will further increase the traffic load. A large town center development along Rt 234 between Wellington Rd and University Blvd, which has been dormant for some time, appears to be moving forward again. This large, mixed-use development (dense residential, retail, commercial) represents a good opportunity to walkably/bikeably connect residents throughout the Innovation Park area with both the new commercial/retail jobs, as well as those nearby but outside the scope of the plan (Micron, Lockheed Martin, etc.). 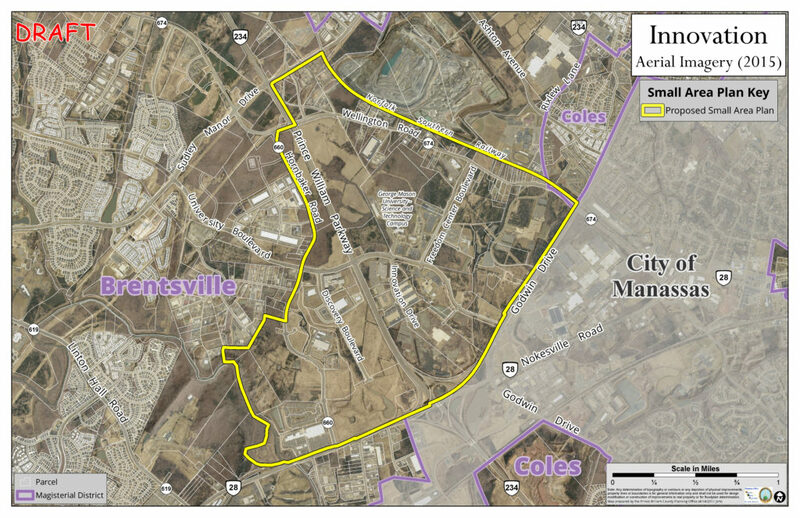 The development will also increase the prospects of connecting new and existing trails and bike lanes/paths in the area—GMU campus trails, Innovation Park trails, Sudley Manor Dr sidepath, University Blvd sidepath, etc. If you have an interest in responsible development and non-motorized transportation, please make time to participate on March 10. The Prince William County delegation to the Virginia General Assembly is holding a joint pre-2018 Legislative Session public hearing for local residents to relate their concerns. All Prince William County, Manassas City, and Manassas Park residents and organizations are invited to attend and speak. Please sign up in advance, using this form. Should you have any questions, please contact Devon Cabot in Senator Jeremy McPike’s office at 571-316-0581 or district29@senate.virginia . The Virginia Department of Transportation (VDOT), in partnership with I-66 Express Mobility Partners (EMP), will host Design Public Hearings on the Transform 66 Outside the Beltway Project regarding plans for the 22.5 mile corridor from I-495 to University Boulevard in Gainesville. This will be our final opportunity to review and comment on the proposed design of the I-66 Trail, between Gallows Rd. in Dunn Loring and University Blvd. & Rte 29 in Gainesville. All hearing times are from 6:00 p.m. until 8:30 p.m.
A formal presentation will begin at 7 p.m., followed by a public comment period.